Berlin Gay Pride 2017: May I Take Your Picture? 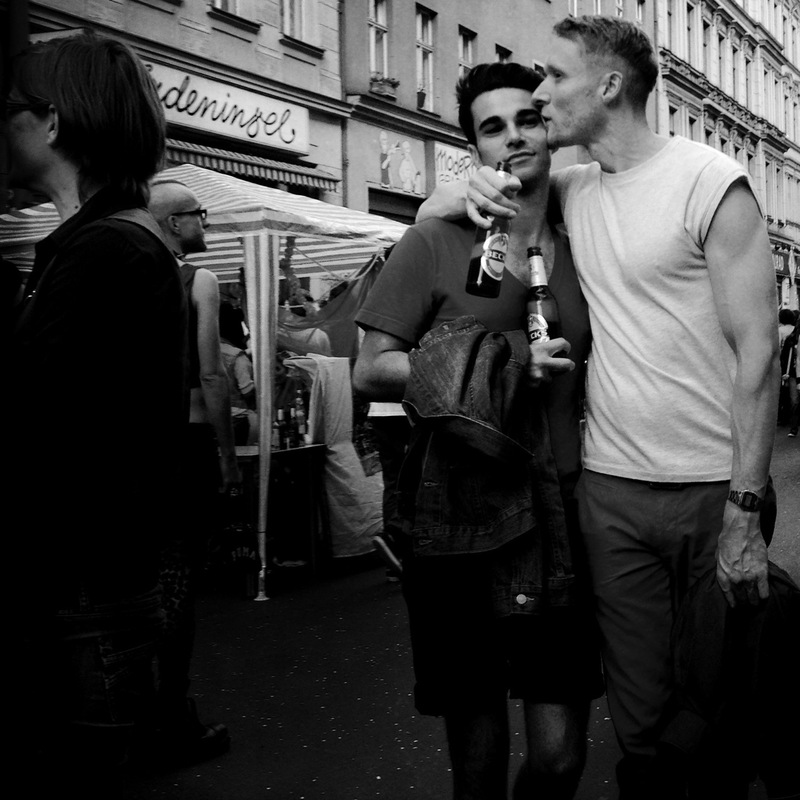 Berlin’s Christopher Street Day celebration was on this past Saturday. German parliament having recently ratified Marriage Equality, the event was more a matter of celebration this year than in previous years. About an hour into the event, heavy rainfalls began to come down, which didn’t really deter people, and the whole thing became a big party in the rain. This was the first time in many years that I went back to the CSD march. It’s always been a good occasion for taking photos. This year’s didn’t disappoint either. On occasions like these, people usually don’t mind having their photo taken. I did take a number of candid shots, but the ones I’m happiest with are the ones where I asked people to pose. Gay Pride attracts many photographers, most with huge zoom lenses waiting at the side of the road. My approach is a tad different: I participate in the event, that is, I take part in the march, and I take photos from within, from close-up. When I ask people to pose, most of the time there is a connection, and there is something about the resulting pics which makes them more personal, and also makes them stand out. I used the Fuji X-T20 camera, with initially a 56mm lens which I soon swapped for the 35mm lens as it was more suited to work from within the crowd. 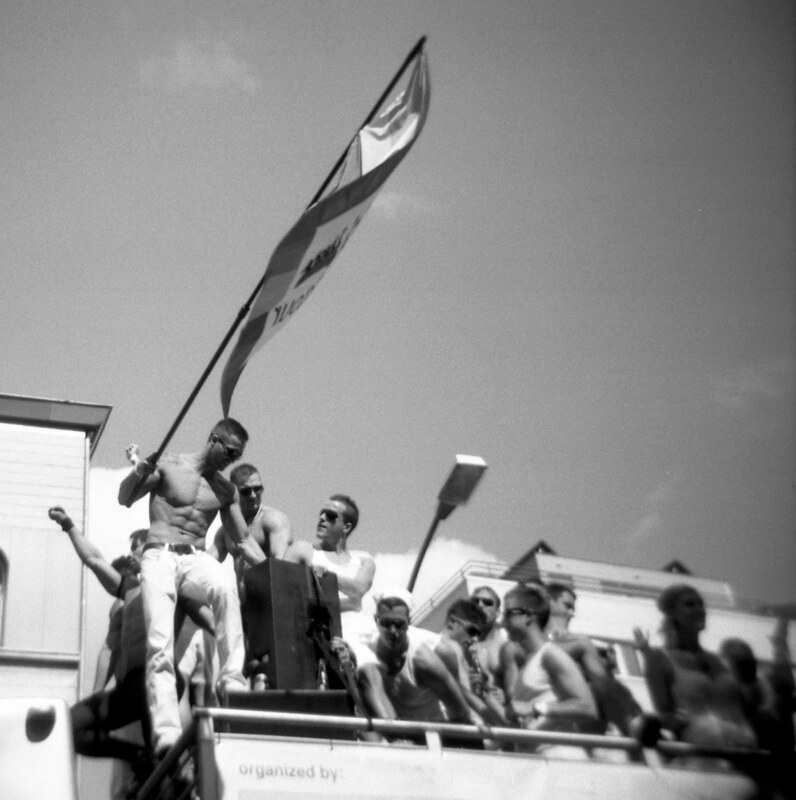 For more of my Gay Pride photos, [click here]. Photos from earlier CSD events can be found on my Berlin page. Enjoy. 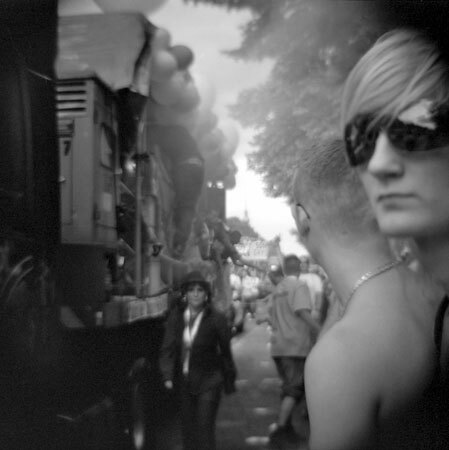 Gallery with b&w and colour Holga photos from the recent Christopher Street Day parade in Berlin now up [click here]. The other four photographers are Marc Glesener, Ann Michaux, Marc Theis und Arthur Thill. More information can be found at the Luxembourg Embassy’s website. The Luxembourg embassy in Berlin is organising an exhibition of Berlin photographs by Luxembourg photographers. 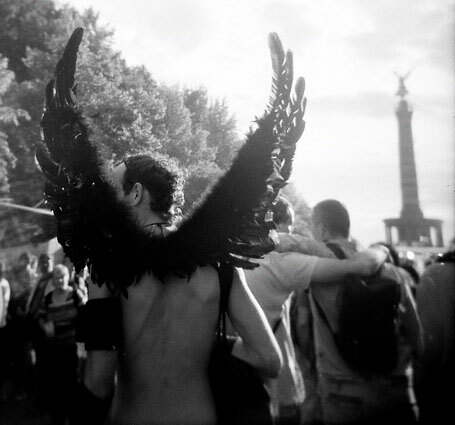 I have been asked to contribute some pictures, and picked images from the yearly Christopher Street Day as a theme. Other photographers are: Marc Glesener, Anne Michaux, Marc Theis und Arthur Thill.